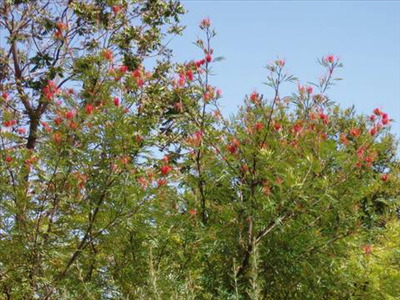 Ornamental large shrub approximately 9'x 6' or small tree. Prune for bushy growth. Prefers well drained soils in full sun or shade. 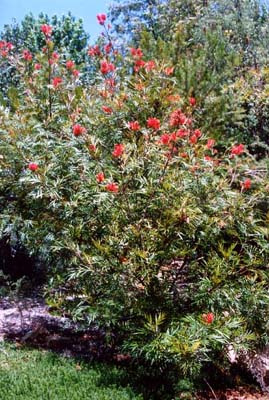 Excellent coastal shrub with large red flowers, flowering over a long period. Tolerant of extended dry periods and moderate frost (25F). Likes summer watering. Useful screen and bird attracting plant. White flowered form sometimes available. 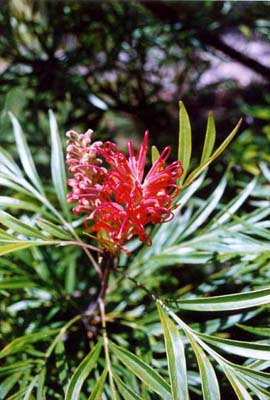 Usually grown by cuttings.